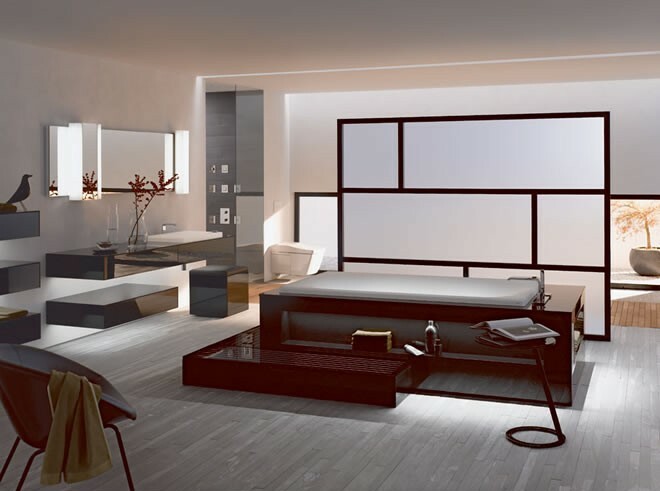 The very best luxury bathrooms, require exceptional finishings and it doesn’t get much more exquisite than Concept Virtual Design’s top end bathroom designs with TOTO, manufacturers of the world’s most advanced bathrooms. The perfect choice for top luxury developments, the unique bathtub from TOTO features LUMINIST material with subtle lighting integrated from under bath itself , that soothes you as you soak away the day’s stresses. It truly cleanses not just the body, but the soul. 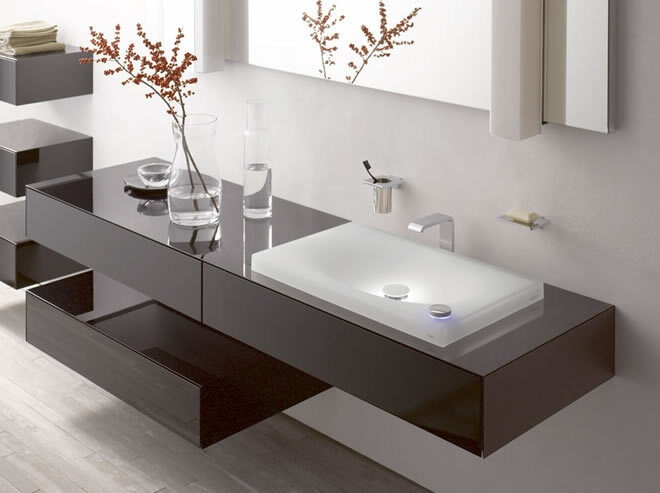 The stylish, contemporary designs from TOTO include a luxurious vanity basin, also made from LUMINIST material, which changes colour in response to the temperature change of the water flow. Even TOTO’s award winning Gyrosteam shower offers both sanctuary and rejuvenation to the body, with its pulsating streams of water that massage the skin and relax the muscles. Functional, yet so aesthetically pleasing in its design, TOTO’s lavatory is one of the most intelligent in the world. It seamlessly incorporates a bidet with a ready-warmed seat, warm water jets, automatically opening and closing lid and massage function, all with remote control. The advanced technology in this system makes it perfect for top end developments, with chic, stylish design and exceptional functionality. The perfect way to complete a luxury development to the highest standard possible, TOTO’s collection of technologically advanced bathroom products, creates a truly individual environment in which to unwind and relax and prepare for the day ahead, in the lap of luxury and sublime technological revolution. TOTO’s contemporary, elegant range works beautifully to create style and focus for luxury developments, truly making the bathroom space an exquisite feature. Concept Virtual Design have been given a 10/10 best showroom rating by independent reviewers from Kitchens Bedrooms & Bathrooms Magazine. This entry was posted in Luxury Bathrooms, TOTO and tagged bathroom design gerrards cross, bathroom design virginia water, bathroom designers wentworth, exclusive interior design marlow, Henley bathroom design, luxury bathrooms beaconsfield, TOTO, TOTO's, TOTO's Exceptional Sanitaryware. Bookmark the permalink.